Students, faculty and staff returning to Reinhardt University after the summer break will have something newer and fresher to feed their appetites. The University has contracted food services with Metz Culinary Management. RU is the first private institution of higher education in Georgia for the Pennsylvania-based company. 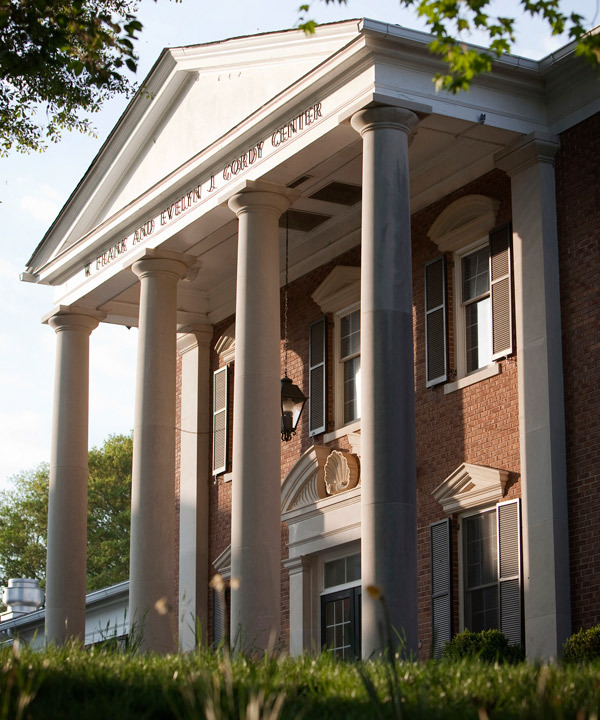 Metz currently provides services to higher education clients across the country, including Dalton State College in North Georgia and Maryville College in Tennessee. The Gordy will be home to a new food service company this fall, and upgrades to the building are expected by the 2017-18 school year. Much like Reinhardt, Metz Culinary Management prides itself on treating their clients and employees like family. Its business model is able to adapt to each community’s culture. The Metz staff will work alongside RU’s staff to provide great food service in a comfortable, clean atmosphere. David Leopard, Vice President for Finance & Administration, said students should expect a higher quality of meal and snack options in addition to a refreshed look in both the Gordy Dining Hall and the “Grab and Go” in Hill Freeman Library effective Fall of 2016. “We are looking to improve food quality and service at our currently published meal plan price,” Leopard said. Next summer, a larger project to expand the Gordy Dining Hall will be underway with completion expected by Fall 2017. With the new services provided by Metz, students will have options for meal plans, including an every meal access plan with flex dollars to use in (what will be called) the InterMetzo at the Library and in The Varsity Room. A To-Go Taxi Pizza Delivery service also will be available. As part of the new services, residential students will be able to purchase 150 meals or 250 meals, both of which come with flex dollars. Additional flex dollars can be purchased. Metz has committed to bringing a clean, fresh look to both the Gordy Dining Hall and the Grab-and-Go Café in the library. Leopard said labels will be easier to read and more prominent – perfect for those with dietary restrictions, including food intolerances and allergies. Metz also puts a focus on healthy options including its Green Scene farm to table fare, which allows the company to purchase as much local fare as possible and forge relationships with local farmers. Those looking for higher protein options, such as athletes, can find special menu items to meet their dietary needs.